Follow the story of an enduring heritage—trace the nation’s oldest road across Maryland’s diverse landscape, from Baltimore in the east to the mountains in the west. Explore “The Road That Built the Nation” from historic Baltimore through rolling countryside through Frederick to Hagerstown on our Historic National Road eastern section. 170 miles where city streets give way to country roads and highways between quaint towns from Baltimore to the Pennsylvania line. It was America’s first “moonshot,” a road that would carry our young nation west. Carved from forest and mountain, spanning mighty rivers, it was the marvel of its age and stoked the dreams of thousands who followed this macadam and cobblestone ribbon into the frontier. Begun in 1811 to carry settlers and trade from the great capital of Baltimore into the then-wilds of Illinois, The National Road would take four decades to complete. Begin at water’s edge in the Inner Harbor area, where you’ll find shopping, fine dining and walking among harborside attractions. Then follow Lombard Street on the first portion of the National Road – originally known as the Baltimore National Pike - through several historic neighborhoods, including Union Square, which journalist H.L. Mencken called home. Your next stop is the Baltimore and Ohio Railroad Museum, located inside a beautifully restored roundhouse. Further west of the city is Catonsville, which was developed in 1810 and became a favorite for summer homes when linked to downtown Baltimore by electric trolley lines. Before crossing the Patapsco River, drive through the charming little town of Oella, which contains the 142-acre Benjamin Banneker Historical Park and Museum, dedicated to the African-American mathematician who helped calculate Washington, D.C.’s boundaries. Beyond the Patapsco River, Ellicott City has antiques shops and unique restaurants in historic buildings. This old mill town features America’s oldest surviving railroad station, the B & O Railroad Station Museum, as well as Thomas Isaac’s Log Cabin, which served as a National Road way station. Next comes Mount Airy. Formerly a railroad and turnpike town, it now features an interesting concentration of vineyards that are open for tours and picnics. 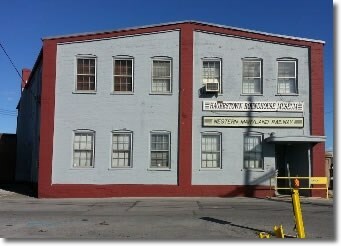 This area is also popular for its boutiques and antiques, more of which you will find down the road in New Market. Downtown Frederick is the hub from which charming Main Street communities, romantic accommodations and inspirational attractions fan out like the spokes of a wagon wheel. Two centuries of architecture are represented at numerous homes and public buildings, including the Barbara Fritchie House and the National Museum of Civil War Medicine. The town also features entertainment ranging from theatrical productions to minor-league baseball. At the end of a long day, one of Frederick’s inns or bed and breakfasts is a welcome sight. As you head out beyond Braddock Heights and the farming village of Middletown, consider making time for a sidetrack into Washington Monument State Park for a hike on the Appalachian Trail to the first monument erected in George Washington’s honor. The park is also located along a noted migratory bird flyway, so bring your binoculars. In Boonsboro, the not-to-be-missed National Road Museum, is set to open in 2019, and will feature exhibits on traveling the National Road in its heyday and the movement to expand and populate America’s untamed West. Continuing west, the farmland of Funkstown is dotted with Pennsylvania-Dutch bank barns and smaller English-style structures. Impress your train lover with a trip to the B & O Railroad Museum in Baltimore, where you can see, touch, hear and explore the most important railroad collection in America. Take an excursion on the Western Maryland Scenic Railroad's steam train in Cumberland. Travel through pastoral farmland and wooded gorges to the mountain town of Frostburg. Make a quick trip to downtown Frederick — a foodie’s favorite with great restaurants like Brian Voltaggio’s Volt — Frederick has also quickly become a capital of the country’s thriving craft beer scene with stalwarts like Flying Dog Brewery. 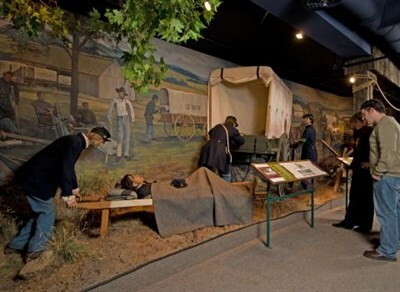 Don’t miss the Museum of Civil War Medicine. And definitely catch a show at the Weinberg Center for the Arts where top comedians and bands from all over the world stop in to play. Friendly people in quaint towns are easy to find along the Historic National Road, such as at this Farmers Market in Ellicott City. The Historic National Road threads together charming small towns and thriving cities. Plan several days to explore them and recreational opportunities, such as hiking, fishing and paddling, along the way. 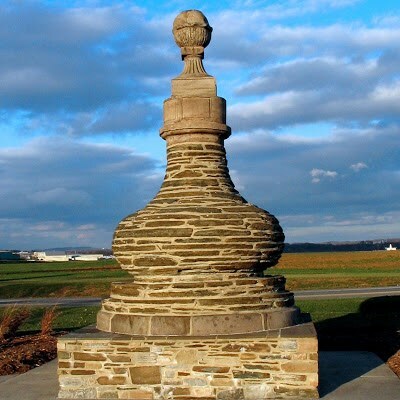 Explore “The Road That Built the Nation” from Hagerstown to Grantsville through Maryland’s green mountains on our Historic National Road western section. So many early railroad lines were linked into Hagerstown that it earned the nickname “Hub City.” The C&O Canal also flowed through this area, whose towpath trail now draws legions of bicyclists and hikers. The town itself — featuring the South Prospect Street Historic District — has a roundhouse museum among several other sites dedicated to preserving local history, including the Jonathan Hager House Museum. Hagerstown highlights include The Washington County Museum of Fine Arts and the Hagerstown Cultural Trail, featuring work from internationally recognized artists. Traveling along US 40 toward Clear Spring, look for the Wilson Bridge Neighborhood Park, a small waterfront park that offers a fine view of the five stone arches that support the 210-foot-long Wilson Bridge. Dating back to 1819, it’s the oldest and longest bridge of its kind in Washington County. It is also the site of the 160-year-old Wilson Country School and Store. 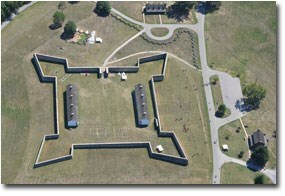 Take a sidetrack south along MD 56 to Fort Frederick State Park. Based in Big Pool, the fort was the cornerstone of Maryland’s defense more than 250 years ago during the French & Indian War. Next up is Hancock, where the C & O Canal National Historical Park offers a deeper exploration of canal life. 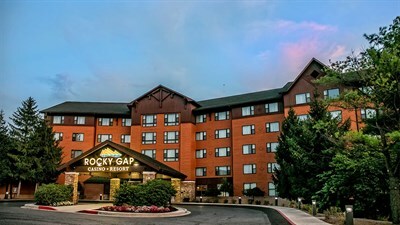 After a climb up Sideling Hill, which was the scene of many stagecoach mishaps due to the steep turns, you’re ready for a relaxing round of golf amid the ridges and valleys of Rocky Gap Lodge, Spa & Golf Course, followed by a satisfying stay there or in Cumberland. Cumberland, like Hagerstown, was a transportation crossroads with ties to highway, railroad and canal transportation, and is now just as popular for its galleries, theaters and museums. 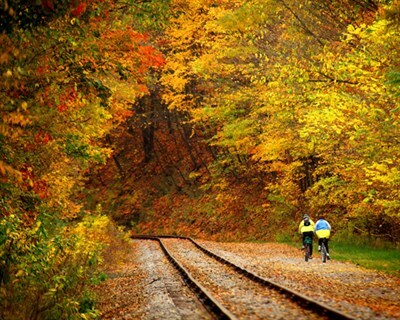 Take a steam-engine train ride on the Western Maryland Scenic Railroad or an exhilarating bike ride on the Great Allegheny Passage rail trail to Frostburg, site of a nationally known carriage museum. In LaVale, the route passes Maryland’s only remaining National toll gate house, outside of which a plaque still displays the cost for wagons, animals and pedestrians to pass. Conestoga wagons once crossed the Casselman River Bridge, a single-span, stone-arch structure built for the National Road near Grantsville in 1813. 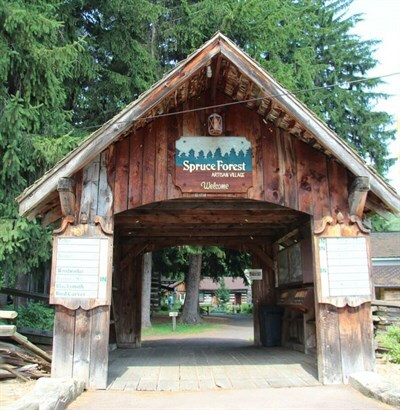 The bridge now connects a state park to the Spruce Forest Artisan Village, site of a former stagecoach stop. The village serves as a cultural center promoting local arts, crafts and music from the Appalachian Mountain region of Maryland. US 40 Alternate then winds through the northern section of Savage River State Forest and over Keysers Ridge to the Mason-Dixon Line. Thirty miles south of Grantsville, the Deep Creek Lake area offers year-round recreation that ranges from boating, fishing and water skiing on Maryland’s largest freshwater lake to snowtubing and skiing down Wisp Mountain. Campgrounds and vacation rental properties are among many lodging options. Watersports are popular on Deep Creek Lake in McHenry, a short drive south of the Historic National Road. The LaVale Toll Gate House collected $9,745.90 in tolls during its first year of operation, 1836. Patapsco Valley State Park is a wooded oasis along the Patapsco River between Ellicott City and Elkridge.